GREEN LANTERN CORPS: EDGE OF OBLIVION #1! Picking up where GREEN LANTERN: LOST ARMY left off, fan favorite artist Ethan Van Sciver joins our favorite space corps by working on DC Comics’ GREEN LANTERN CORPS: EDGE OF OBLIVION, the new 6-issue miniseries written by Tom Taylor (INJUSTICE: GODS AMONG US, BATMAN/SUPERMAN). 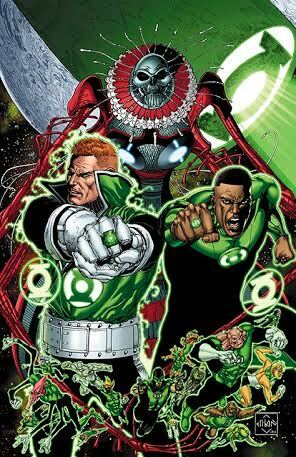 Wielding his pencils and inks as constructs, like a Green Lantern ring, make sure to check out Van Sciver’s impressive illustrations for this upcoming title!